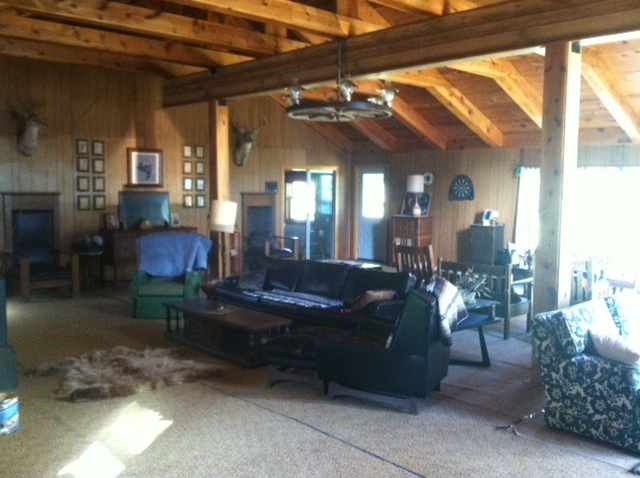 The entire lodge has 4 bedrooms and a loft/attic with a total of 11 beds. Equipped with two kitchens and a large rec room on each level. The Lodge has running water and a bathroom with shower on both levels. The Lodge is a great location for day events such as reunions and receptions. The Lodge is a perfect stay for hunting, hiking, ATV trail riding, biking, family reunion, special clubs, and gold panning groups. The lodge is $30 per. night for 4 years of age and up. There is a minimum $120 a night to rent the Lodge.